Reed Saxon/The Associated PressSan Francisco-based Wells Fargo has lowered the minimum credit score on fixed-rate jumbo mortgages. Wells Fargo & Co. has relaxed its standards for loans for some high-priced homes as the largest U.S. mortgage lender tries to combat an industry-wide drop in mortgage volumes. The bank has eased its lending standards on mortgages it acquires from other banks, said spokesman Tom Goyda, for "jumbo" loans that are too large to receive a guarantee from government-backed mortgage companies. In late July, the San Francisco-based bank lowered the minimum credit score on these fixed-rate jumbo mortgages to 700 from 720, Goyda said. Credit scores range from 300 to 850, and levels below%VIRTUAL-pullquote-"The purchase market is softer than we thought that it would be." % 640 are often considered subprime. The lower requirements for jumbo loans are the latest effort by Wells and other banks to loosen mortgage criteria that are still tight by historical standards. Of the large banks surveyed by the Federal Reserve in July, thirty-nine percent said they were somewhat relaxing requirements on prime residential mortgages, and all banks reported that demand for prime mortgages was at its highest level in a year. The mortgage industry is seeking to replace lost revenue after a spike in mortgage rates in the second half of 2013 made refinancing less attractive. But for many lenders the search for revenue is tempered by the fact that the housing market is still recovering from the worst crisis since the Great Depression. New rules and regulations designed to prevent the next mortgage implosion have also made some banks less willing to take risk in the market. In June, Federal Reserve Chair Janet Yellen said, "It is difficult for any homeowner who doesn't have pristine credit these days to get a mortgage. I think that is one of the factors that is causing the housing recovery to be slow." 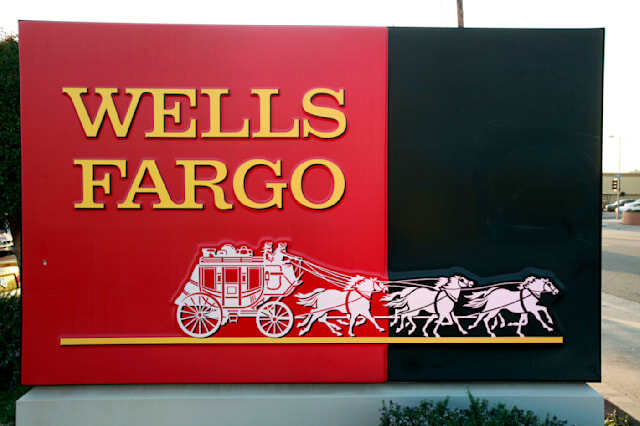 In addition to lowering minimum credit scores, Wells Fargo is now willing to buy jumbo loans from other lenders that go toward the purchase of a second home, Goyda said. For a refinancing, the bank is now willing to buy mortgages whose balance exceeds the size of the borrower's previous loan, known as "cash-out refinancing." Wells Fargo's standards for mortgages it buys from other lenders remained more conservative than those it offers directly to consumers via its branches and online, Goyda said. The minimum credit score on those jumbo mortgages is 680. The latest expansion of Wells Fargo's mortgage lending comes six months after the bank began to offer home loans directly to borrowers with credit scores as low as 600 that were eligible for insurance with the Federal Housing Administration. Its previous minimum credit score for FHA-insured loans was 640. Wells Fargo executives have said its steps to expand access to mortgage credit are low-risk, as all borrowers must demonstrate an ability to repay the loan in accordance with rules issued by the Consumer Financial Protection Bureau that came into effect in January. Most products the bank offers are 30-year, fixed-rate loans that do not allow borrowers to defer principal payments, Wells Fargo Home Mortgage President Mike Heid said at the bank's May investor day. "This talk about returning to subprime is just nonsense," Heid said. As industry-wide lending volumes have declined over the last year, Wells Fargo's drop has been even sharper. The bank said last month that it made $47 billion in home loans in the second quarter, 58 percent less than the same period of 2013, compared with a 50 percent fall in industry-wide volumes, according to estimates from the Mortgage Bankers Association. "The purchase market is softer than we thought that it would be," said Wells Fargo Chief Financial Officer John Shrewsberry on a July conference call with analysts. "We're not seeing breakout returns to pre-crisis levels of the enthusiasm around homeownership." Chief Executive John Stumpf told Reuters in a July interview that the volume of mortgages it purchased from other banks in the second quarter was lower because those lenders are now selling directly to investors under government programs.